A little pick-me-up for those days when your horse training endeavors leave you feeling a little frustrated... Focus on the positive with these light-hearted shirts that state the obvious. 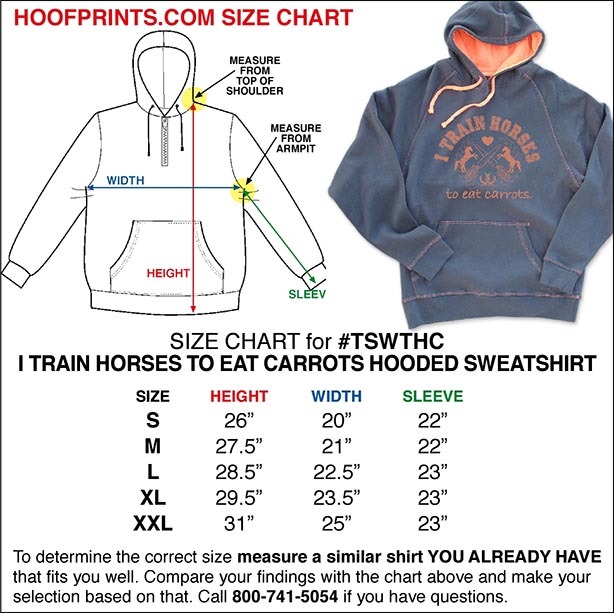 Sweatshirt is heavyweight preshrunk 8.5 oz (regular sweats are 7 oz) that's buttery soft inside and out; it gets softer with each washing. 60/40 cotton/polyester with screenprinted logo. 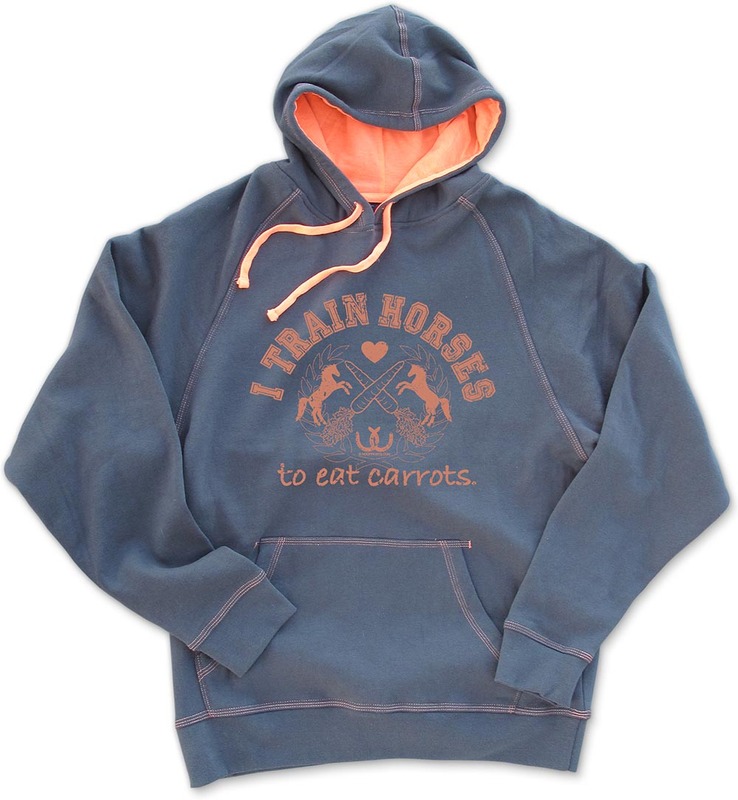 Body is soft charcoal grey, hood is lined with neon orange with matching drawstring and stitching throughout.